Riviera Beach Marina Village — Song + Associates, Inc. 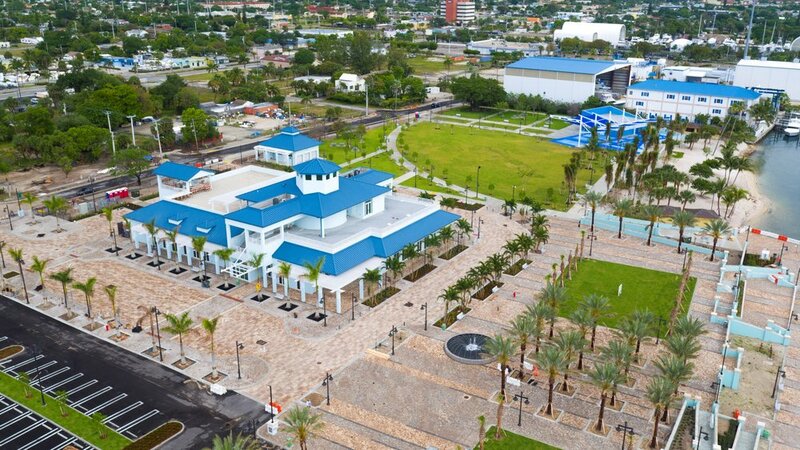 The Riviera Beach Marina is being redeveloped into a state of the art facility. It has long been a regional destination for diving, fishing and other waterfront activities. The proposed redevelopment is intended to enhance these existing assets and to transform the Marina into a world class destination. 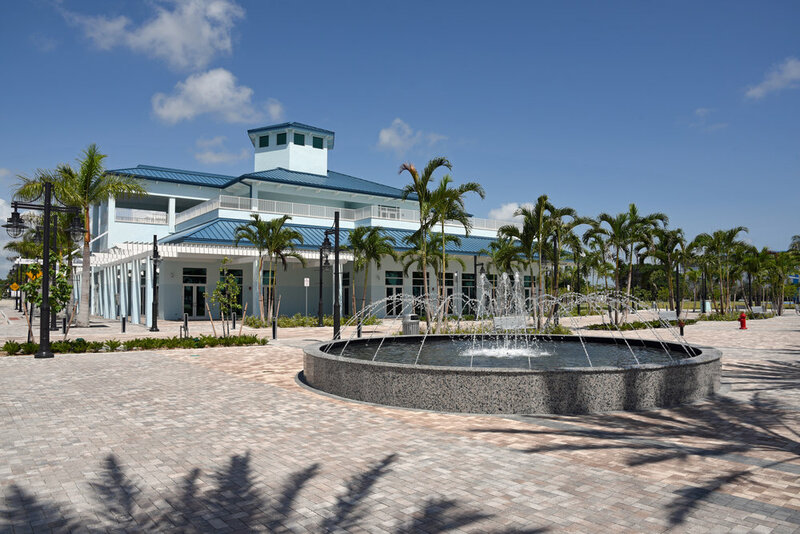 The mixed-use Marina Event Center includes small and large meeting rooms, restaurant space, a banquet hall, and a roof-top veranda and patio deck with a bar and a covered terrace overlooking the neighboring park and amphitheater. Phase I included Bicentennial Park Green Amphitheater, a new waterfront promenade and plaza, new streets, cafe, and sidewalks, extensive utility improvements, a beach front pavilion stage, and a 28,000 GSF event center. Private development opportunities are planned including six restaurants. Phase II will include a year-round indoor public market.